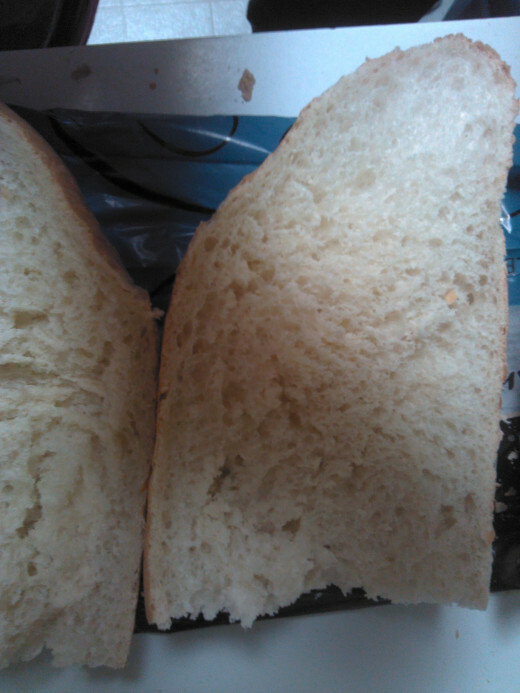 Bake at 350 for about 12 minutes. Eat and enjoy! 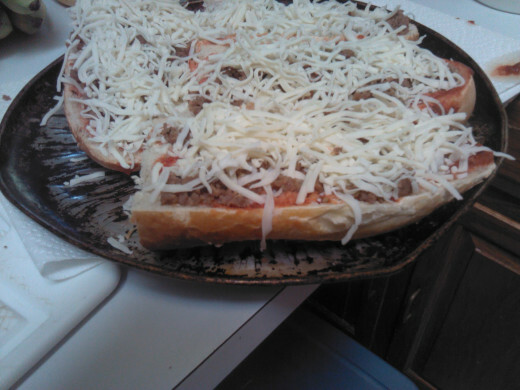 Pizza is probably my family’s number one dish or maybe it’s a tie with spaghetti. 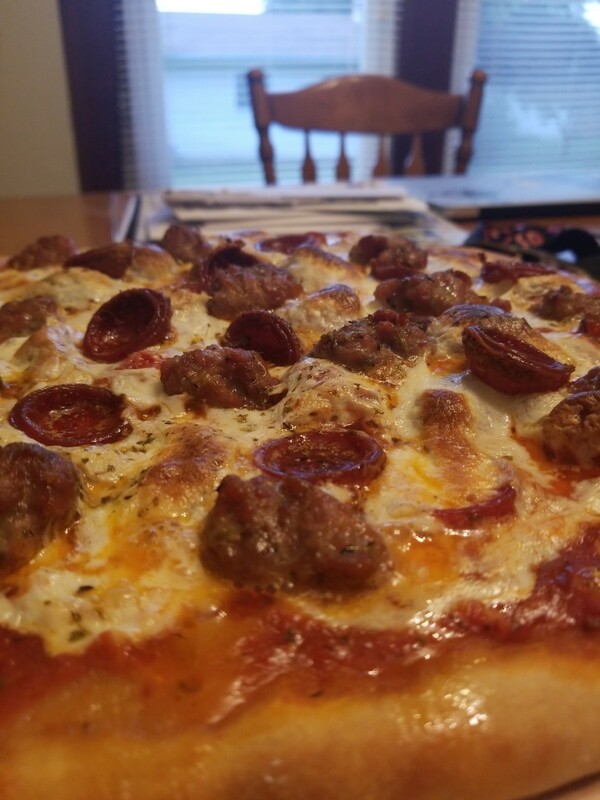 As a family we are constantly trying new and different pizzas from different locations; ordering in, going out to restaurants and creating our own. One of the problems that my family faces when ordering pizza is that we have different tastes and inevitably someone is settling by not getting exactly what they want. This didn’t really make sense to me since getting pizza is not an inexpensive experience so I made it my mission to change this problem and to save a little money in the process. 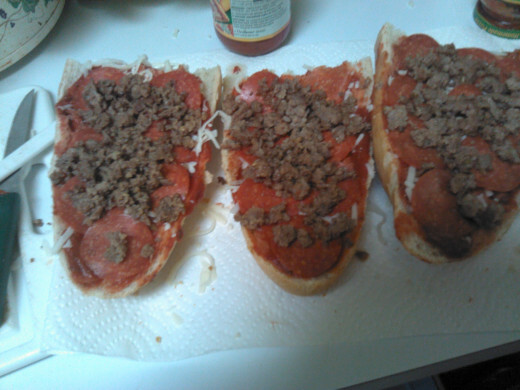 I tried frozen pizzas from the grocery store and I tried making pizza from scratch, pizza dough and all. There were things that I liked about both but also things that I didn’t like. Finally I decided to take the things that I liked and put them all together. 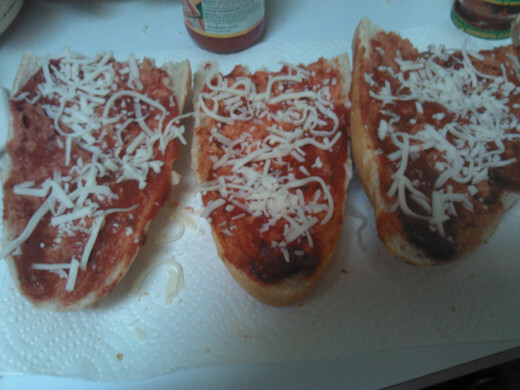 That final process was the French bread pizza. 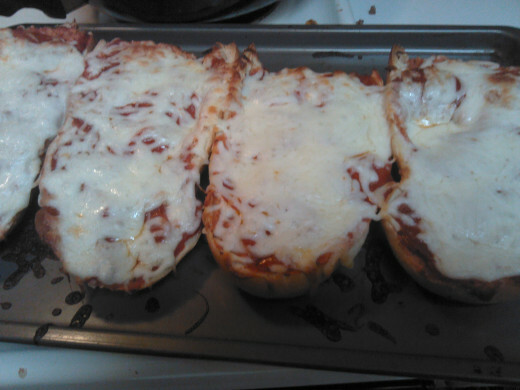 French bread pizza is quick, easy and inexpensive it is also a huge hit with my family and friends. 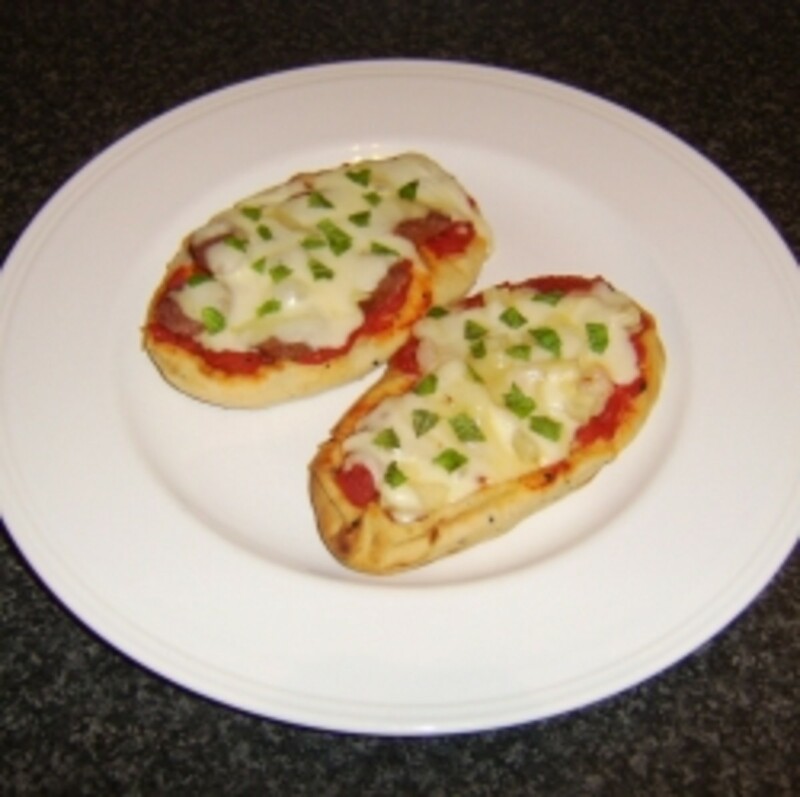 French bread pizza is so easy the kids can actually make their own just the way they like with their favorite toppings. 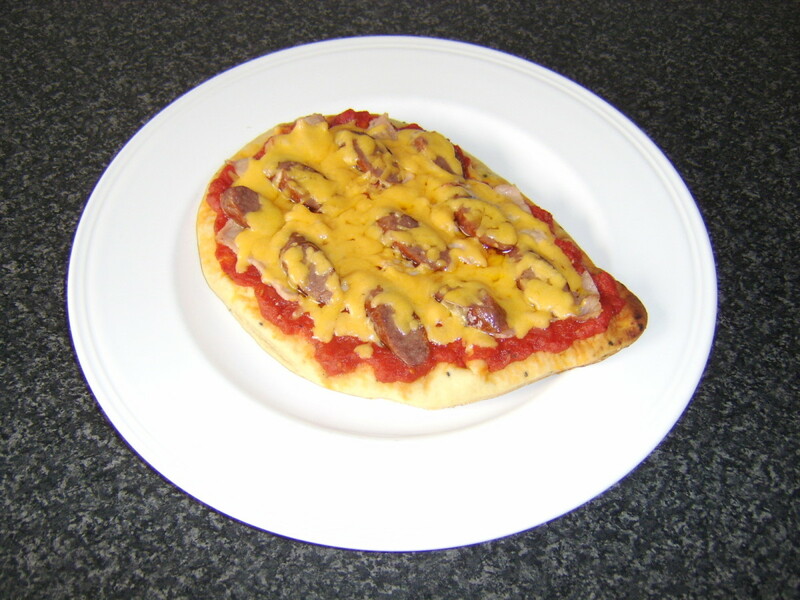 My kids like it so much they actually prefer it over their favorite pizza chain pizza. 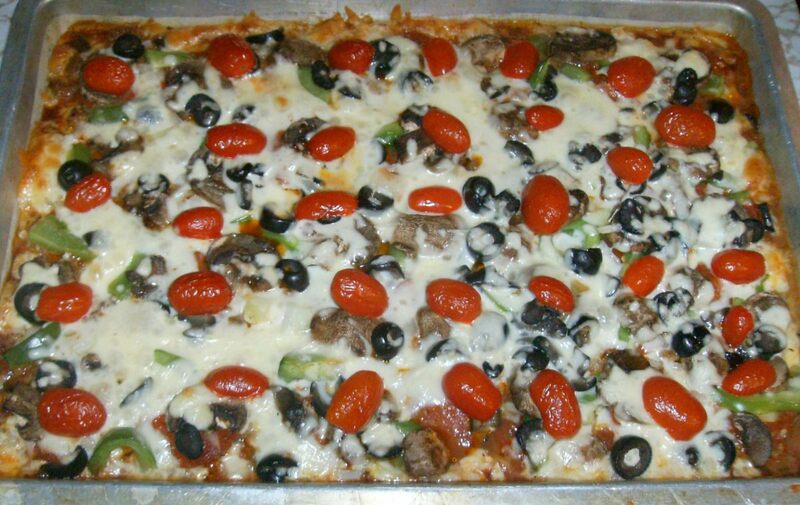 What I like about it is that it truly is quick and easy and there are a wide variety of toppings you can choose from; meat, vegetables and fruits all make great toppings. 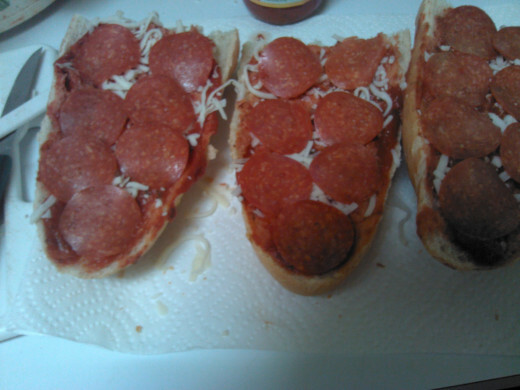 Making different types of pizza using the French bread as a base makes for some great individual pizzas. 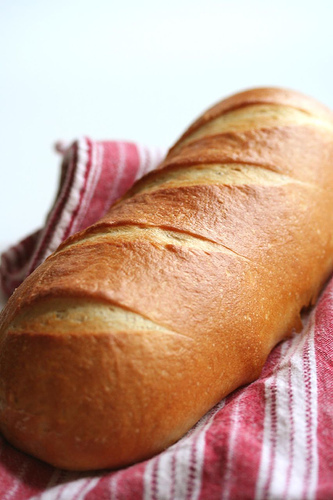 Cut French Bread into four pieces first cutting roll in half and then half again lengthwise. 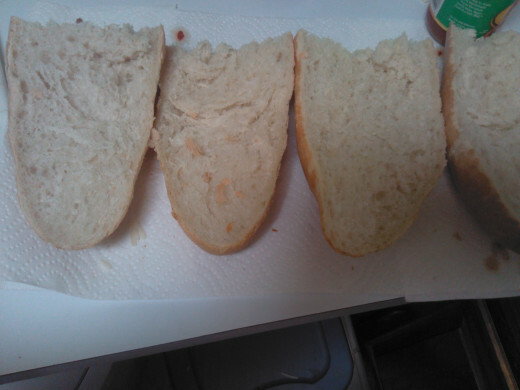 Place Bread on cooking tray. 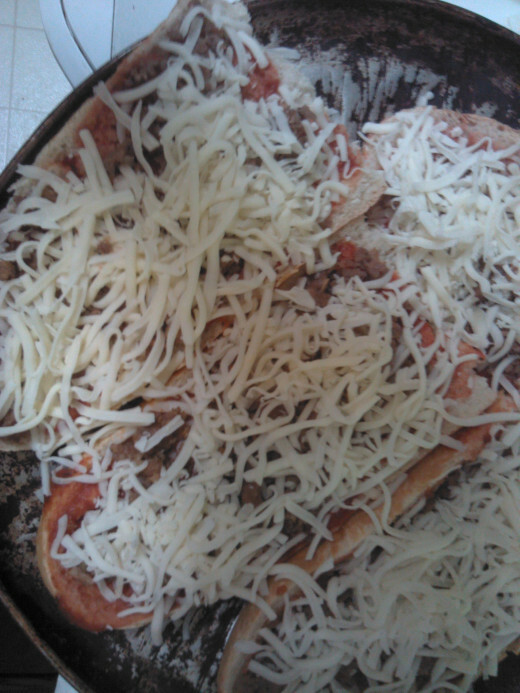 Bake in over for about 12 minutes. 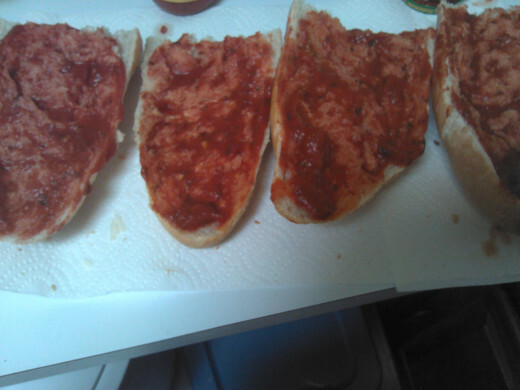 Thanks G-Ma - I tried tortillas too but not whole wheat. 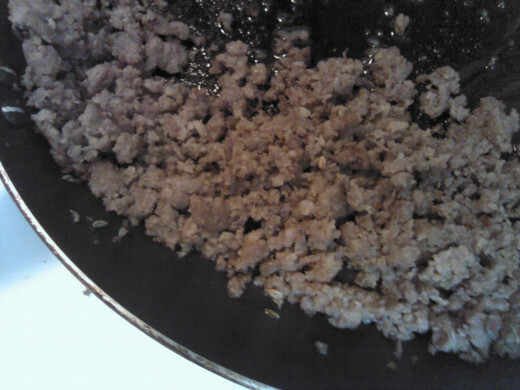 I liked the crunchiness too. Let me know how you like it!